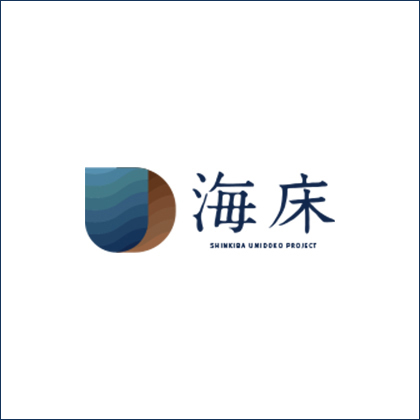 The Shinkiba UMIDOKO project was started in order to tell a story. 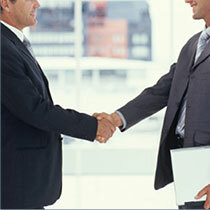 and will examine new styles of “regional development”, “human development” and “craftsmanship”. Everything has started from one picture. It all started with a single photograph. This is the story of how the Shinkiba UMIDOKO Project got its start. 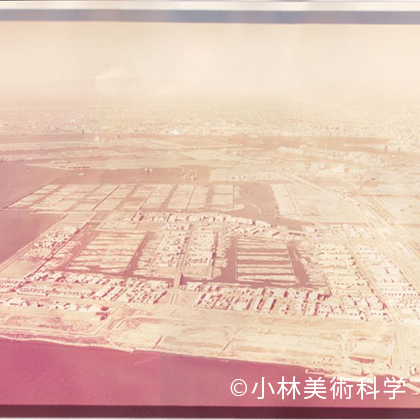 The restore the aerial photograph of Shinkiba to digital photograph. We truly realized that this view is the origin of Shinkiba. We held the first rally with our local lumber companies. We made sure our goal is ONE. 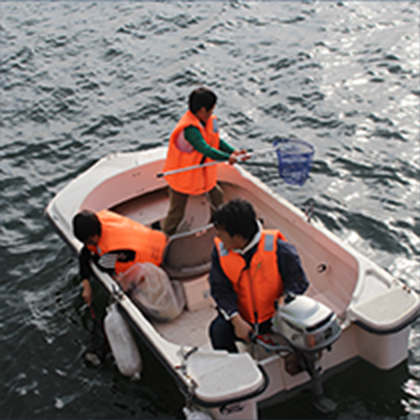 We collected garbage by the Tokyo bay, as a part of the research. We started volunteering to collect the garbage. The Shinkiba UMIDOKO project has been started. 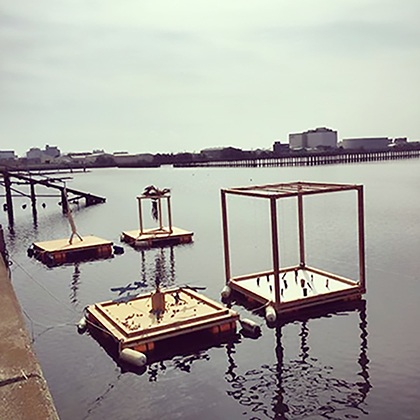 This project is implemented as part of the Demonstration Program Project for the Exploration of Local Resources by the Tokyo Conversation and Visitors Bureau. 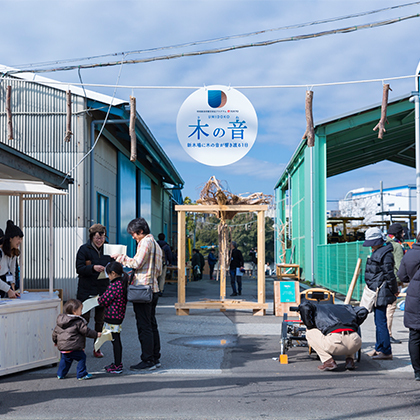 We held an art exhibition, the collaboration of lumber company and artists. The exhibition was held for a week. 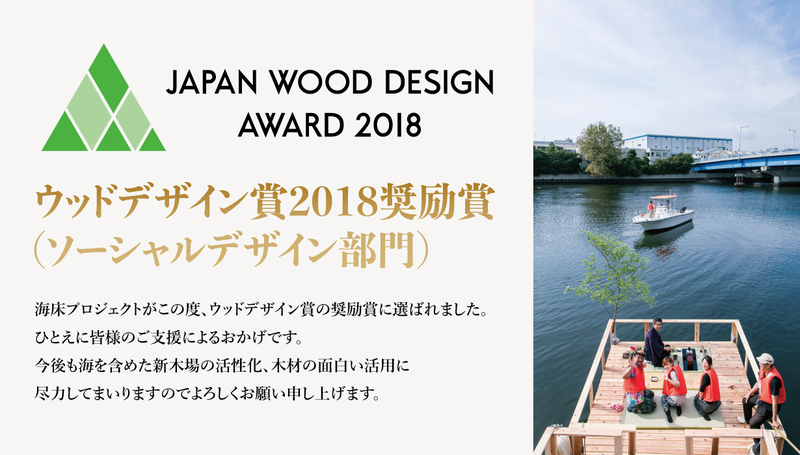 Continue to the Kinohi, enjoy the sound of the tree "UMIDOKO sound of Wood”It was held. Thank you for your visit. 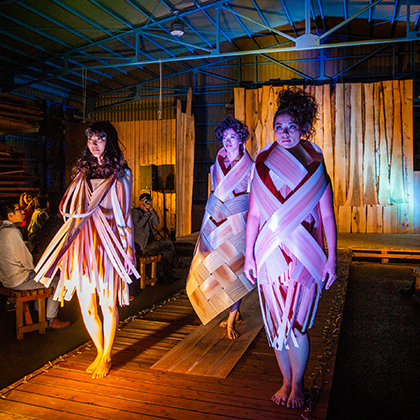 We held a fashion show of wooden costumes, live concerts and a market that featured Yoshino in Nara. we plan on hosting “UMIDOKO events”. 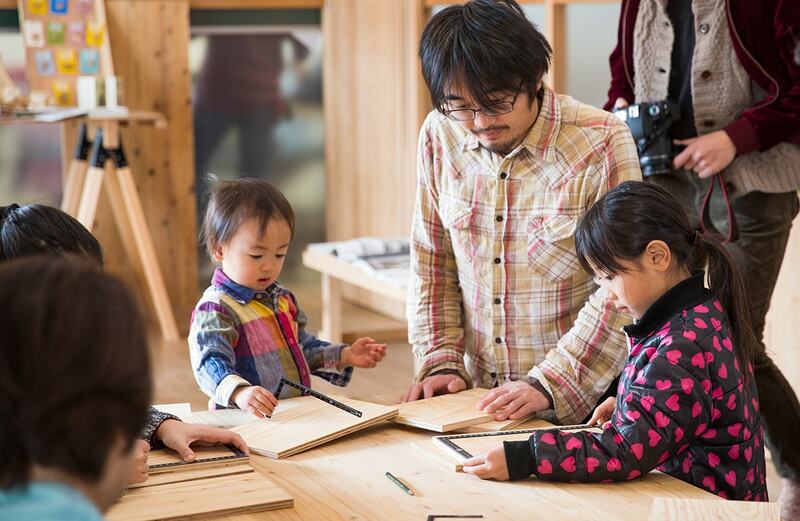 We display various woods from all over Japan, as well as wooden art work. 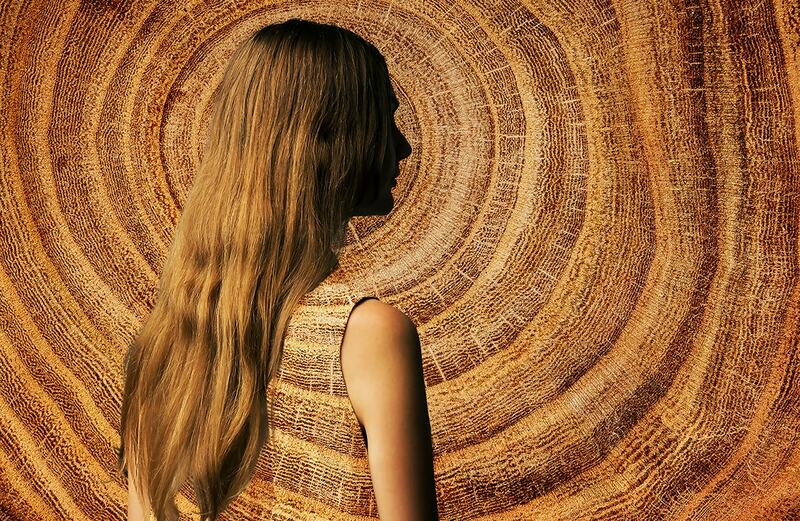 Please find future possibilities of lumber. The sound and music by various lumber. as a part of an effort to make our town an even better place. 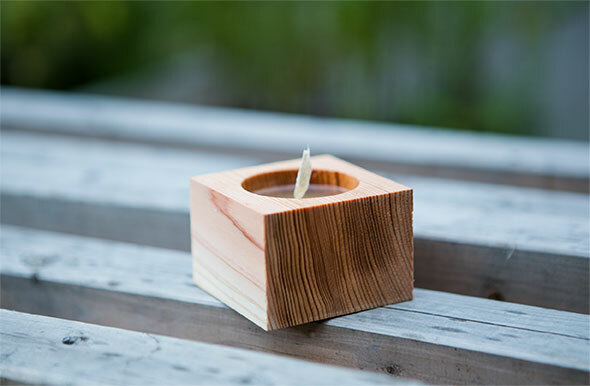 Containers made from cedar, cypress, cherry, maple and oak are gathered from all over Japan. The wax is made from the fruit of the Japanese wax tree. The core and cover will be crafted from wood scraps. Thus, the entirety of the candle will be made of wood. We provide large size food smokers with different types of wood; Cedar, Cypress, Oak, Cherry tree, and so on. 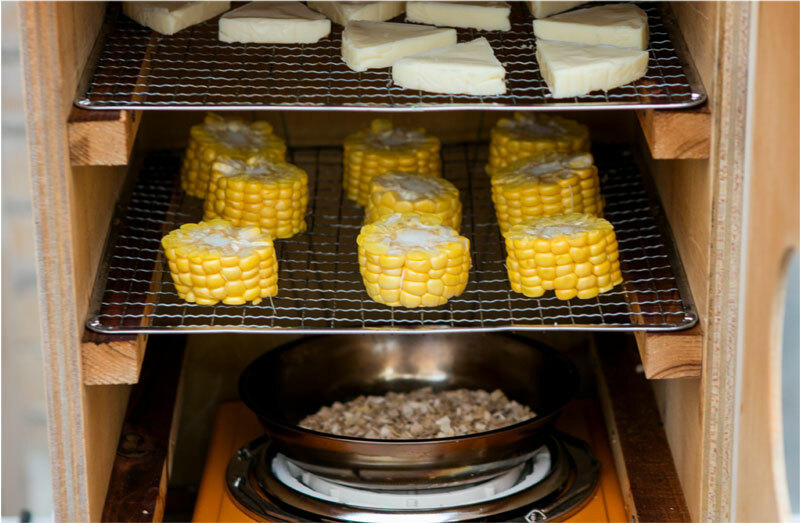 Also, we have smaller size food smokers, which can also be used for the installment, Cajon. Smallest size is for the individual use, if you would like to use it for everyday drink. What's UMIDOKO HISTORY PRODUCT MANAGEMENT SHINKIBA UMIDOKO PROJECT. all rights reserved.